Every golfer shares a passion for playing the greatest game on Earth. Your grip, and your connection to the game, is unique to you. 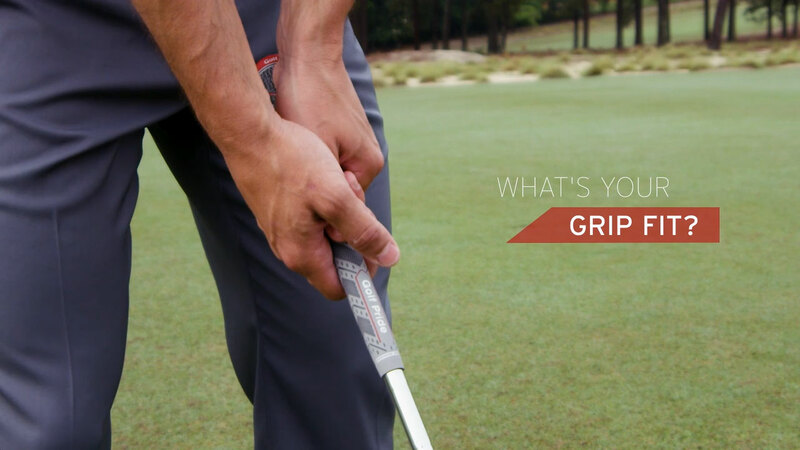 Share your story with #MyGripFit. I grew up practicing in the rain to gain an advantage on others and quickly found the benefits of cord grips for the traction I needed. Now I play the Z-Grip with extra wraps and stretched to firm the rubber even more to give me maximum feedback on every shot. Golfing in upstate NY can be tricky given the ever-changing weather conditions. Playing the MCC grip gives me the traction and control I need along with great feedback regardless of whether it’s hot, cold, humid, rainy or dry. I play in all different conditions in the Pacific Northwest. Rain, wind, sunshine, even sometimes snow. 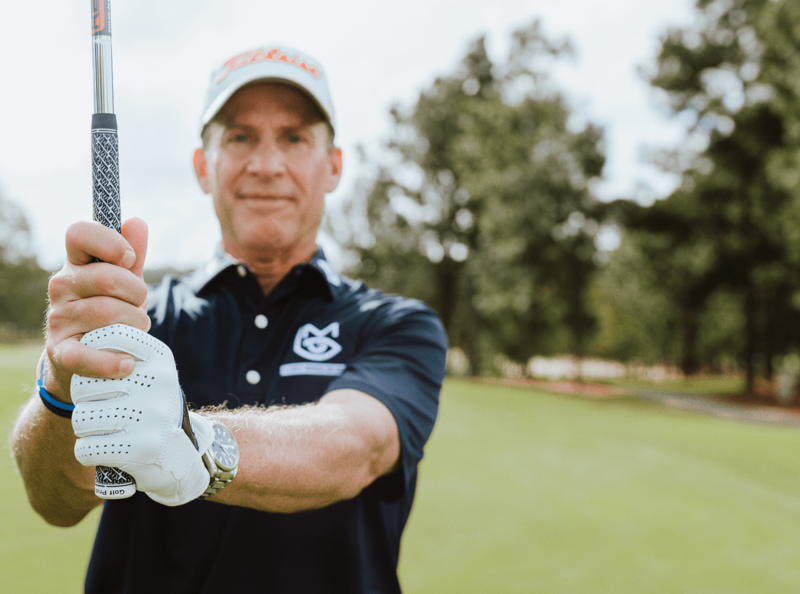 The MCC Plus 4 is the most versatile grip that I have played and allows me and my players to perform at the highest possible level at all times. I love how the ALIGN ridge fits in my hand and the new Tour Velvet ALIGN rubber material elevates this grip to another level. Why would you play anything other than Golf Pride? Tour Velvets are my go-to, the perfect amount of comfort and playability. I know when I have a Golf Pride grip I’m gripping with confidence! Living in a humid climate, MCC ALIGN PLUS 4 allows me to continue to work on my game in the summer heat without losing any traction control and helps keep my hands in a consistent position with each swing. Love the feel of the Tour Velvet – I have played it for years. Glad to be able to now enjoy it with ALIGN Technology. 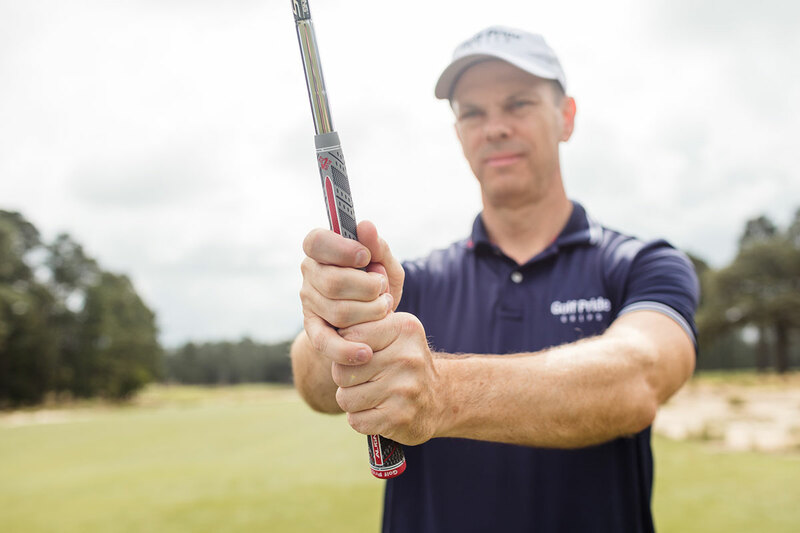 MCC Plus4 ALIGN's reduced taper in the lower hand takes the left side out of the golf course so I can fire at my target with confidence. I stretch a standard CP2 Wrap 3/4” to thin out the middle/upper hand to fit my hand size. The CP2 is the perfect combo of softness and performance in cold and warm weather. I love the soft, yet firm feel. It is the perfect balance. I also love how they do not get slippery in your hands when the rain is falling or the summer heat is causing extreme sweat in my hands! Growing up in the UK I always used reminder grips. The ALIGN Technology external ridge provides additional feedback and I no longer have to just accept that I've lined up parallel to leading edge of the club. Because nothing beats having the ALIGN Technology to help me hit more consistent shots. Wet or dry, I always have a sure grip with my MCC Plus4 ALIGN. I was playing the original MCC Plus4 and now choose the MCC Plus4 ALIGN because I know my hands are in the same place on the club every time. Great tacky feel for South Carolina's high heat & humid conditions. MCC Plus4 ALIGN (Driver-PW), MCC Plus4 (52/56/60). I had always built up MCC’s with 3 extra wraps of tape in the lower hand, and MCC Plus4 ALIGN now gives me a slightly softer feel and easier installation without needing extra wraps of tape. I have always played Golf Pride Tour Velvet ever since I started playing golf. If it isn't broke, don't fix it. ALIGN Technology is a major improvement upon the ribbed grips I’ve always played. It’s easier to install, and the new Tour Velvet material feels incredible. I’ve never felt more confident over the ball. I play the MCC Plus4 in the summer, because the cord provides traction I need when my hands sweat. In the winter, I switch to CP2 to dampen vibrations in the colder weather. I play the MCC Plus4 ALIGN because I love the constant reminder and it is one less thing to worry about pre-shot knowing that my club is square. The Plus4 also helps me from turning my hands over too quickly. I can’t imagine a grip without ALIGN after using it now for months. I always know where the face of the club is without looking at it, and at any time I feel I know what the clubhead is doing. The ZGRIP is extremely comfortable and provides plenty of feedback. I play the MCC Plus4 on my other irons, but like them both equally. These are the best grips I’ve ever used. Always know where the club face is with the alignment feature. Great in wet and humid conditions. They’re super comfortable, sturdy, and stay steady in my hands. 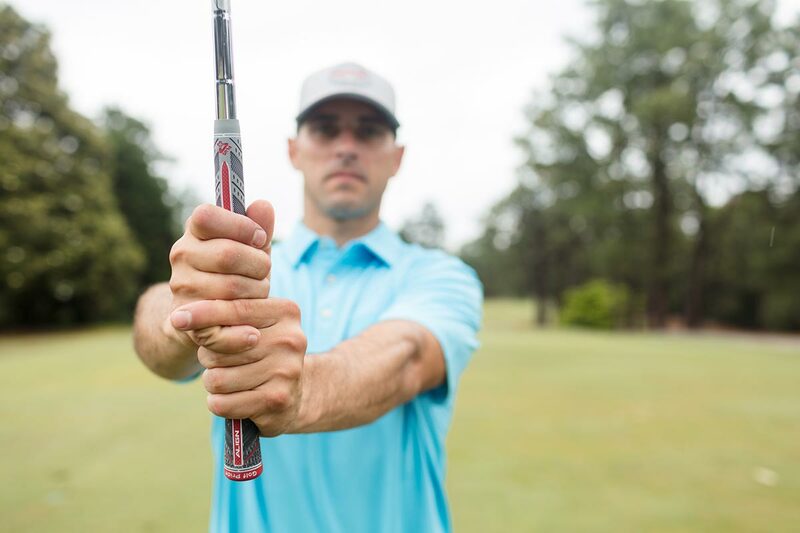 Have a buddy take your photo on the range or course, featuring your favorite Golf Pride grip. Upload your photo and grip specs. Submit to be featured on the site & Golf Pride social media. 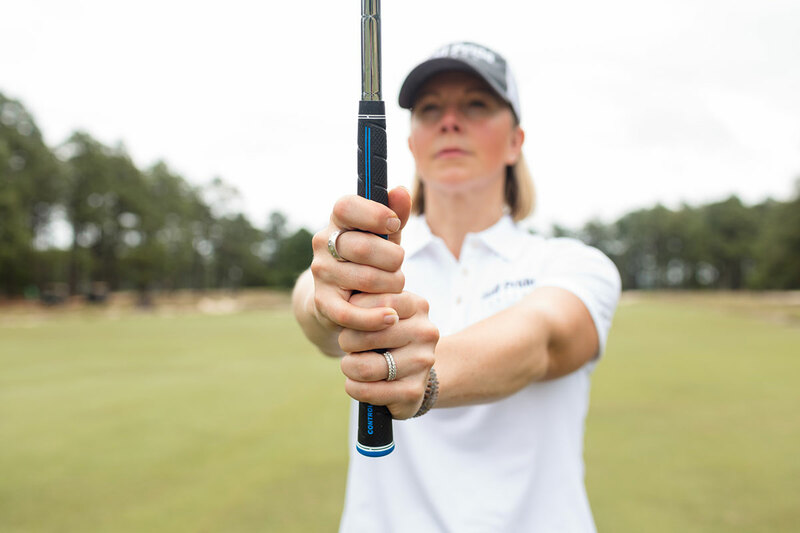 I'd like to join the Golf Pride e-newsletter to be notified of grip testing opportunities, limited edition product promotions, exclusive giveaways, grip tips and more.